Aromatherapy is the use of fragrant, natural oils for healing purposes. It is a type of alternative healing practice which has been shown to have a wide range of positive effects. Degrees in aromatherapy are currently not very common. You can however enroll in a certificate program in aromatherapy, at either a specialized institute or online. Aromatherapy is a type of alternative medicine practice which involves using natural oils to enhance or alter moods, and cognitive, psychological or physical wellbeing. The oils are extracted from a variety of natural sources such as flowers, leaves, bark, roots, stems, etc. Each type of oil has its own unique healing properties. When inhaled, these essential oils are believed to stimulate brain function. In addition to inhaling their aroma, essential oils may also be applied directly onto the skin, where they get absorbed into the body and into the bloodstream, thereby promoting well-being. The National Association of Holistic Aromatherapy (NAHA) has noted that many professionals ‘learn aromatherapy to complement their other profession, such as nursing, massage therapy, acupuncture or medicine’. Degrees in aromatherapy are currently very rare. The degrees which are available focus on teaching students how to blend and use fragrances in order to promote health and well-being, how to use essential oils to bring about positive health effects, different inhalation or diffusion techniques, etc. Certificate programs in aromatherapy are usually offered by special institutes which are not typically associated with colleges or universities. Many of these aromatherapy programs may be taken online or in a hybrid format. In the field of aromatherapy, certificate courses are currently considered a terminal degree. This means that they are the highest form of qualification one can get in this field. Aromatherapy degree programs teach students about the healing properties of different essential oils and how they can be used to treat common ailments. Students are also taught about the history of aromatherapy, how to blend different types of oils for remedial purposes, etc. The degree typically takes 1-2 years to complete. Listed below are some of the most common courses offered in aromatherapy programs. 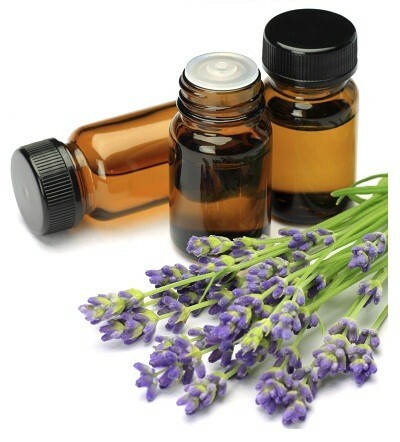 This course covers all of the most popular essential oils used in aromatherapy treatments. It also goes over how to administer the oils and the various therapeutic uses of essential oils. This course deals with the origin, history, and evolution of the practice of using aromatherapy for therapeutic purposes. This course is very hands-on and involves a thorough understanding of the different uses of essential oils. Students will learn about different application methods, active ingredients, and handling practices. They will also learn how to create and mix their own oil blends. As of now, there are no licensing and certification requirements for practicing aromatherapy. Some professionals may however choose to earn a voluntary certification through the National Association for Holistic Aromatherapy. Students may also choose to further their studies with a degree in a related field such as massage therapy or alternative medicine and nutrition. Some of the above jobs may also require additional qualifications. Aromatherapy is a healing practice which makes use of the aromas of oils extracted from a number of natural sources, such as flowers. It can be used alone or in conjunction with other therapies such as massage or acupuncture. Those interested in learning more about aromatherapy may enroll in an aromatherapy certificate program. There are also a number of stand-alone courses which may be taken. Q:What is taught in aromatherapy courses? A:In an aromatherapy course, students will learn about the therapeutic benefits of oils and herbal products used for massages, creams, lotions, etc. Students will gain an in-depth understanding of how vapors affect the body and can be used for treatments. Topics such as essential oils, physiological therapeutic effects of oils, skin types, ethics and professionalism, and holistic care may be covered in the program. Q:Can you please name a few courses covered in an aromatherapy certificate online? A:An aromatherapy certificate online is designed to provide students with career-oriented knowledge. The coursework will include the study of the following fields: human anatomy, principles of aromatherapy, health nutrition and lifestyle, medical aromatherapy, essential oils, aromatherapy for beauty, skin care products, and more. The exact curriculum may vary a little from college to college.